Sulphur amino acids are important in pig nutrition because they can be the limiting nutrient, especially when crystalline amino acids such as lysine, tryptophan, and threonine are supplemented. Methionine supplements for the feed industry are available as dl-methionine and 2-hydroxy-4-(methyl-thiol)butyric acid, commonly known as methionine hydroxy analogue, and both are nutritionally equivalent to l-methionine. Requirements for sulphur amino acids are difficult to determine because of analytical difficulties and differences in bioavailability among feedstuffs. However, the requirements listed by the NRC (1998) are satisfactory for most purposes. 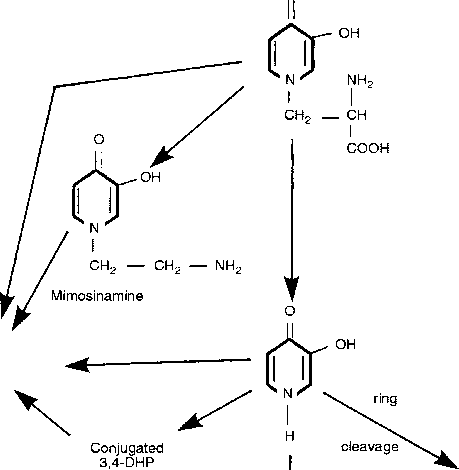 A portion of the sulphur amino acid requirement can be provided by cystine. Although the actual amount will depend on a number of factors, the recommendation that not more than 50% (on a weight basis) of the methionine + cystine requirement should be provided by cystine is a good guideline for practical diet formulation. In theory, all of the sulphur amino acid needs can be provided by methionine, but it seems that there may be some advantage to including at least some cystine in diets. All diets based on cereal grains will normally contain plenty of cystine. Attempts to replace part of the methionine requirement with other methyl donors have not proved promising.